Godman returns with the third episode of his battle against Green-Mask, as we continue our journey through the Godman DVD. For more Godman information, feel free to stop by the Godman Splash Page! 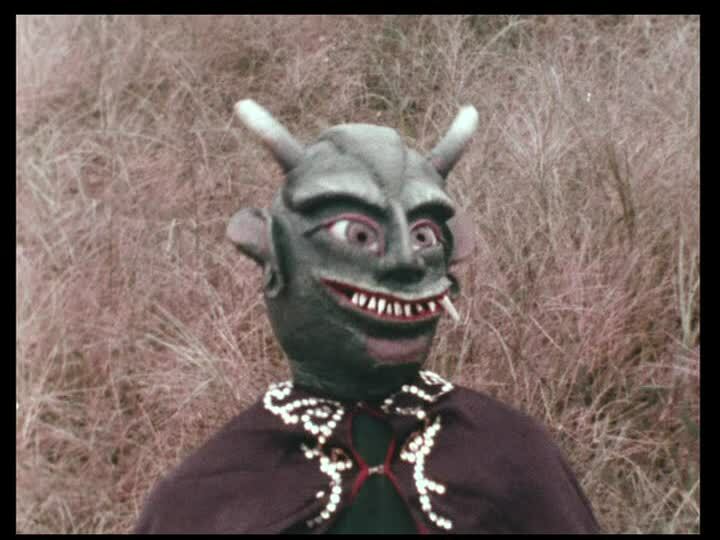 Green-Mask is a creepy humanoid magician monster with a green mask that fits so well he has to hold it on while he runs. That’s some great kaiju design right there. Green-Mask speaks in almost entirely chicken clucks, which is a reoccurring motif for the more human monsters in the Godman series. 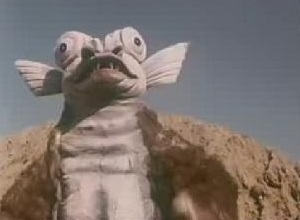 He also steals children, which is another thing that the humanoid monsters do more of vs. the gigantic kaiju! What that says about the human monsters, or humanity in general, I will leave as an exercise to the reader to figure out. But if you cluck like a chicken, make sure you lay a dozen eggs each week or you get the chop! The action starts with the third episode of Green-Mask, at this point Green-Mask is so beaten down by Godman that he’s worn out, falling down. Godman decides that humiliation is the key, and decides that it is spanking time! Remember all those times I said this show was disturbingly sexual? Add this one to the list! Green-Mask gets spanked by Godman, and then Godman shoves Green-Mask’s face into the ground. This is one of the few occasions I won’t defend the monster Godman is beating on, because Green-Mask is actually bad. The final beatdown causes Green-Mask to use his magician skills to make the five children he kidnapped appear. Green-Mask also bows before Godman, worshiping his greatness. Shockingly, Godman lets Green-Mask live. Let me repeat that. Godman, who regularly executes monsters for simply breathing the same air as him, lets a child-snatching guy in a mask live because he feigns worship of him. Good Lord, Godman is a menace! 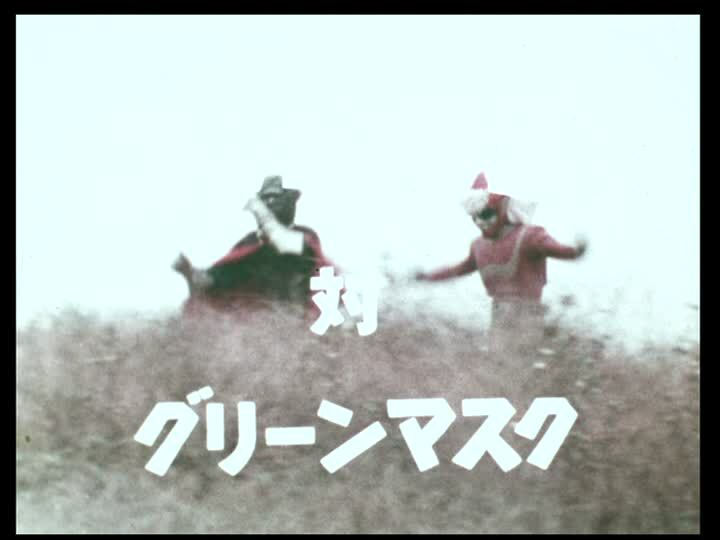 This is the last episode on the DVD, so it’s final act is to let us see Godman let a real monster live. 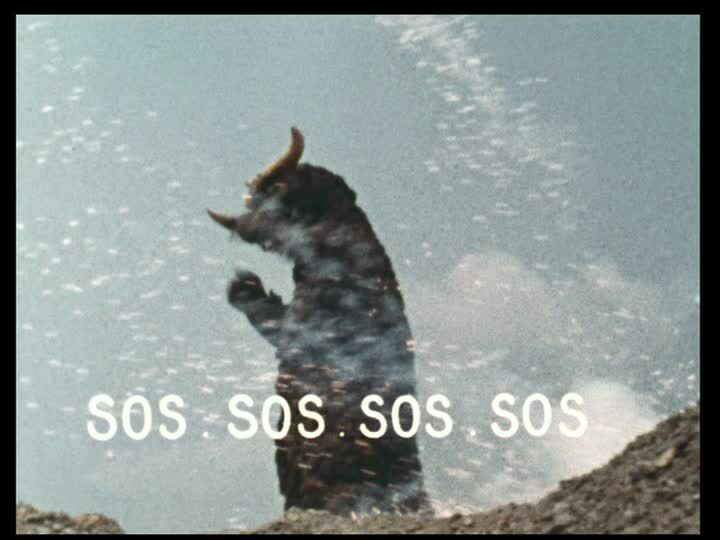 Also, the DVD doesn’t have the decency to have the episodes in order, so this is in no way the last entry of March of Godzilla: Godman’s Godman coverage. Will Godman break Jared from Subway out of prison while killing a puppy? Find out next time!